Some video game creators are cool with people livestreaming any part of their game, others not so much. People who start playing Kingdom Hearts 3 will find a message notifying them that the companies behind the game are applying some limitations. It could be that Square and Disney’s message to streamers isn’t going to prove to be very restrictive, but clearly, the companies felt strongly enough about something related to streaming to include a notification about it on the title screen of the game. 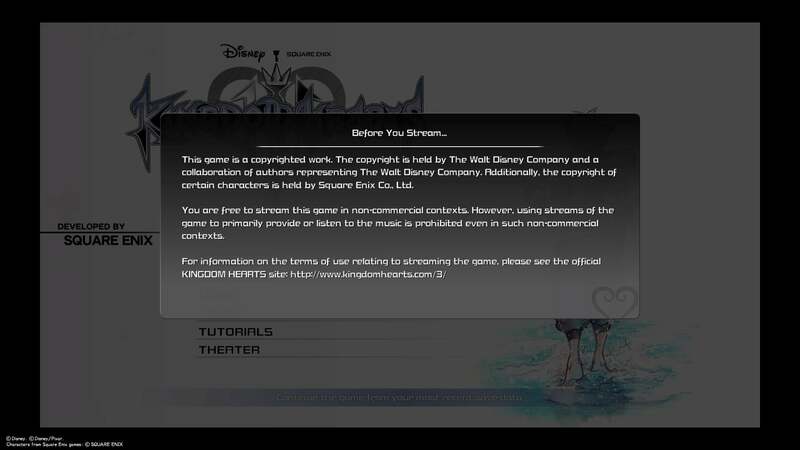 Square has issued some unusually strict streaming limitations on a game before. So far, Kingdom Hearts 3’s rules seem more chill, but as with the plot of the series they’re attached to, they add a dash of mystery to an exciting adventure.